Narraguagus Post No. 8, American Legion » Blog Archive » Auxiliary Honors Remembers Our Troops for Christmas! Auxiliary Honors Remembers Our Troops for Christmas! 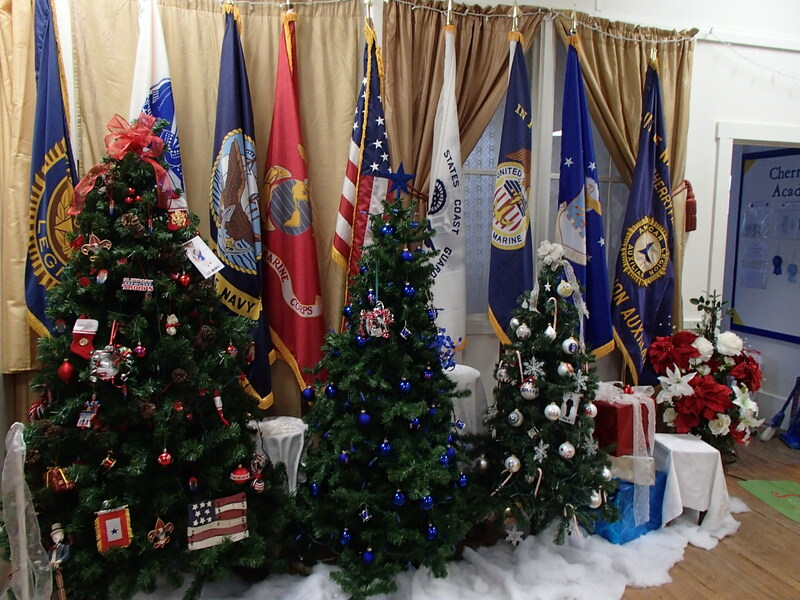 At the annual Christmas Display hosted by the Cherryfield Academy Community Center, the Unit 8 Auxiliary constructed a display of service Flags and photos reminding us to remember our brave American service personnel whether here in the states or deployed overseas. Auxiliary Flag Display honoring our troops.